No. 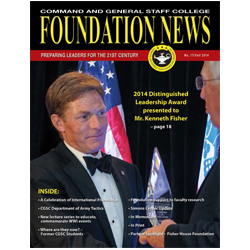 17/Fall 2014 (Nov) | Command and General Staff College Foundation, Inc. 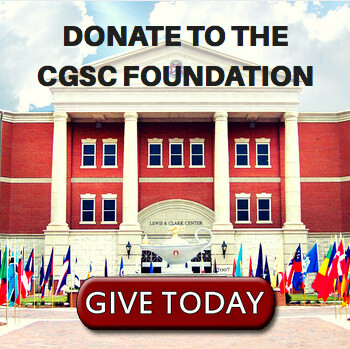 The 17th edition of the CGSC Foundation News comes on the heels of a very busy fall season for the Foundation. 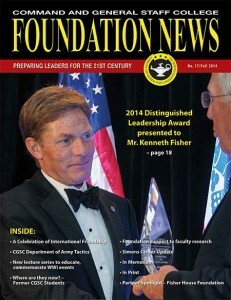 In this edition we highlight our 2014 Distinguished Leadership Award and our Celebration of International Friendship – two major events of which we are especially proud. 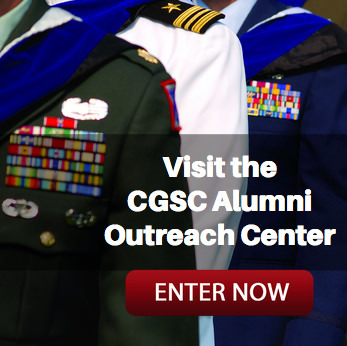 We also continue to salute our outstanding staff, faculty and students – “CGSC 101” is a feature on the CGSC Army Tactics Department and this edition’s “Where are they now?” features two outstanding former students…plus much more.